The Wired Frog was moved to the Roseville on Utica Road. 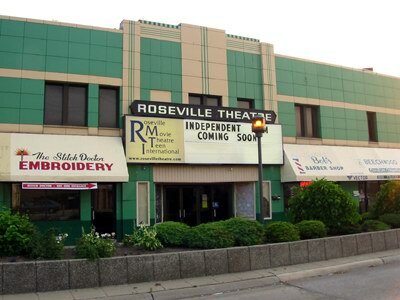 Roseville Theatre makes return: Owner hopes restored building will anchor the downtown May 8, 2003 BY NATE TRELA FREE PRESS STAFF WRITER Seven years after the Roseville Theatre closed down, the single-screen movie house has returned with a new atmosphere. 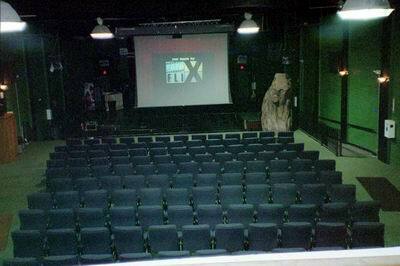 There are fewer seats, more independent films and a smaller screen. But the vision behind the theaters return is as bigas a Hollywood musical. Its going to be the anchor of what will again be downtown Roseville, said John Kurczak, the theaters owner. Any economic-development person knows the key to making a downtown work is an entertainment venue, be it a club or a theater or a sports stadium. Its something to get mass amounts of people in an area in a small period of time. If we get all these people here, it will spill all over the community. The theater reopened April 25, and a formal grand opening is scheduled for May 17. 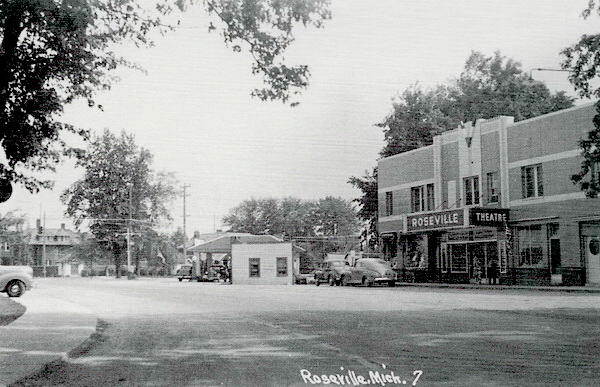 The original Roseville Theatre opened in 1927. In its prime, the theater drew thousands of people daily to the corner of Utica and Gratiot. But as multiscreen mega-plexes emerged, the one-screen theater struggled. Kurczak owned the Roseville Theatre building when the cinema closed in 1996, but he did not operate the theater and said it was not his decision to close it. However, he received a rash of notes from residents, some blaming him for the shutdown and some asking him to reopen the theater. Kurczak began restoring the theater last year, and he spent more than $100,000 upgrading the building. Workers leveled the slanted floors, installed new lighting, improved wheelchair accessibility and built new bathrooms and a concessions area. But the biggest changes came with the new projection system. Though the theater still has a 35mm film projector, many independent filmmakers cannot afford the $50,000 necessary to transfer a movie onto that kind of film. So Kurczak invested in a system that allows projection of movies from a variety of sources, including videotapes, DVDs and Internet servers. A lot of independent filmmakers are doing digital now, said David Michael Waszak, a local filmmaker who will help determine what movies are shown at the Roseville Theatre. Theres a fine line, though. Ive gotten a lot of bad stuff to look at. Anyone whos low-budget, that hasnt had a chance to edit their movie and put it on a $50,000 wheel has a chance here, Kurczak said. Down the road, Waszak and Kurczak say they want to hold theme nights on specific cultures, topics or movie genres. Kurczak also is trying to obtain the rights to show cartoons on Saturday mornings. Furthermore, Kurczak said he wants the theater to be in use even when the projector is off. For three hours on Friday and Saturday nights, a portion of the theater becomes a dance club for teens. The lower level, including the screening area, can be rented for receptions and gatherings. Kurczak said with the new projection system, the theater can be used for business presentations. Kurczak said those extra functions should help the theater survive if ticket sales for independent and second-run films just pay for the costs of showing them. And this helps the community out, he said. You get the teens off the street, so theyre not bumping into everybody on Gratiot. You get the senior citizens back into the theater, and people in the arts community have a place to display their films. In addition, he said, local hotels that host business groups can refer them to the theater if they need a space for presentations. You could have pedestrians on Gratiot, going into other businesses. My vision is that in five years, youll see Utica Road and Gratiot completely developed with businesses that cater to Roseville. But that wont work if the community doesnt support what were doing here.